2019 is here and we thought a great way to kick it off would be to participate in a trade show. 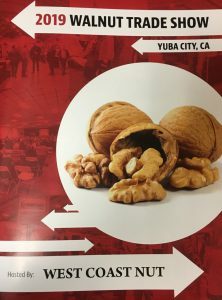 We attended the annual West Coast Nut Walnut Trade Show in Yuba City, CA. As always, we were excited to get together with others in the walnut industry and this year’s turn out did not disappoint!